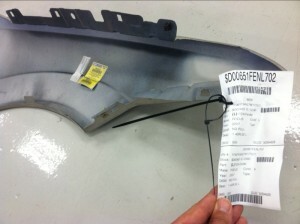 Aftermarket parts have been used in more repairs over the past decade, which raises the potential of them unintentionally falling into the mix of recycled parts offered by salvage yards. 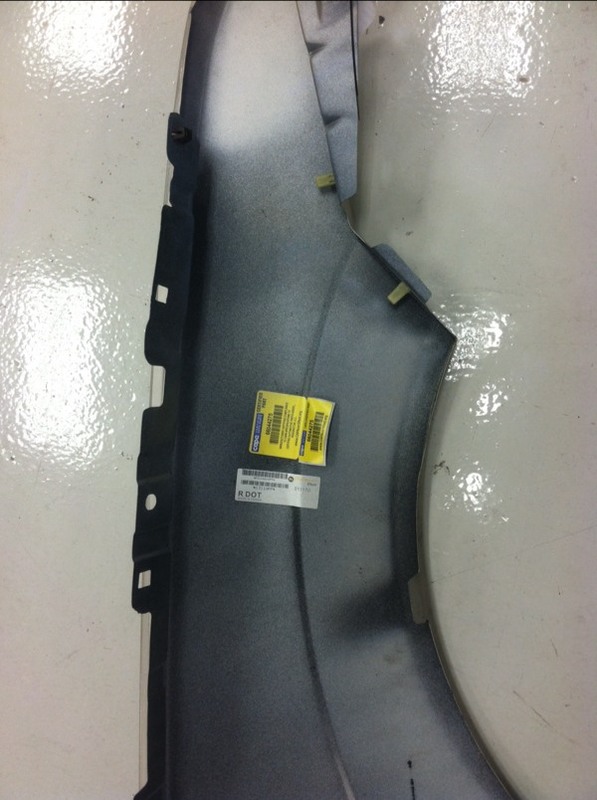 Society of Collision Repair Specialists Chairman Andy Dingman shared one rather glaring example from fall 2014, when a recycled Ford Focus fender ordered from LKQ was filled using a Keystone aftermarket part — still bearing the Certified Automotive Parts Association sticker. “We’ve seen it more now recently than we have,” said Dingman, general manager of Dingman’s Collision. CCC’s 2015 Crash Course reported that 50 percent of repairs in 2014 had at least one aftermarket part, unchanged from 2013 but up from 39 percent in 2009. The estimating service also reported that such parts have risen since 2004 in general. “Worth noting however is that non-OE share of overall part spend is still higher than mid-2000’s before the vehicle fleet aged significantly during the recession,” CCC stated then. Mitchell reported in its second-quarter Industry Trends Report that aftermarket parts made up 15.18 percent of all parts spending in January-March. This was up 0.83 percentage points from that time in 2014 and also up from the 13.77 percent in 2013. “For Q1 2015, compared to the same quarter in 2014, new OEM parts use decreased again, with a modest increase in aftermarket parts as well as in recycled parts,” Mitchell wrote in the report, though it did point out that recycled parts actually could refer to an entire recycled assembly with multiple components. “… The more and more (aftermarket parts) that are used, the more they get totaled out,” Dingman said, referring to total-loss vehicles which are broken down into salvage inventory. He estimated that “every shop” had at some point ordered a recycled part and received an aftermarket one. If you have, please send us photos at info@repairerdrivennews.com. We’d be curious to see other visual examples, along the lines of our gallery on C-pillar blend issues. The American Recyclers Association did not respond to a request for comment on the issue, but it has in the past argued that salvage parts are better than aftermarket ones. The court ruled that it was incorrect for the courts to lump salvage parts in with aftermarket parts under the Automotive Crash Parts Act or Consumer Credit and Protection Act. A spokesman for LKQ, which sells recycled OEM, aftermarket, and even recycled aftermarket, said the company has a six-step program at its salvage yards to prevent this kind of thing from happening. It checks part markings as well as the condition of its parts when received, he said. He says the company tries “our damnedest” to catch these kind of errors ahead of time. “There’s no bait and switch intent whatsoever,” he said. Fortner also pointed out that all of LKQ’s crash parts — recycled and aftermarket — have a “lifetime warranty” and indemnify the shop for any problems caused by the part. This applies whether the part is bought directly from LKQ or a middleman such as PartsTrader. “Our warranty is better than that of the car companies,” he said. “I doubt the car companies can say that,” he said. Fortner also discussed LKQ’s used aftermarket offerings, a niche which some OEM-favoring repairers would probably view as the worst of both worlds. He said such parts wouldn’t be intentionally substituted for recycled OEM parts despite the company’s bullishness on the merits of aftermarket and salvage parts. Asked who was buying such parts, Fortner called recycled aftermarket a way to meet “economic requests” from certain users, such as fleet repairers. “We work with an eclectic group of customers,” he said. Correction/clarification: An earlier version of this article implied an overly broad scope of LKQ’s lifetime warranties. The warranties apply only to crash parts.